Content marketers might well think of an ABM strategy as a way to deliver a personalized buyer’s journey to hyper-targeted prospects through content, with a member of your sales staff as those prospects’ guide. Each company you target with your ABM strategy will have content tailored specifically for that company. And each individual you target within those companies – as there are often 5-7 people contributing to the buying decision – will have content tailored specifically for them. Does that sound complex and potentially hard to manage? It can be. But with the right tools and processes, it gets much easier. And it’s worth it. Most businesses using ABM – typically businesses of 1,000 employees or more – say it delivers results that are more than worth the effort. But before we dive into the nuts and bolts of how to create and manage all this personalized content, let’s step back and review how content marketing and account-based marketing work, and how they differ. For starters, personalized content becomes far more important in ABM. We’re not just talking about dropping someone’s first name into a welcome message on your site. 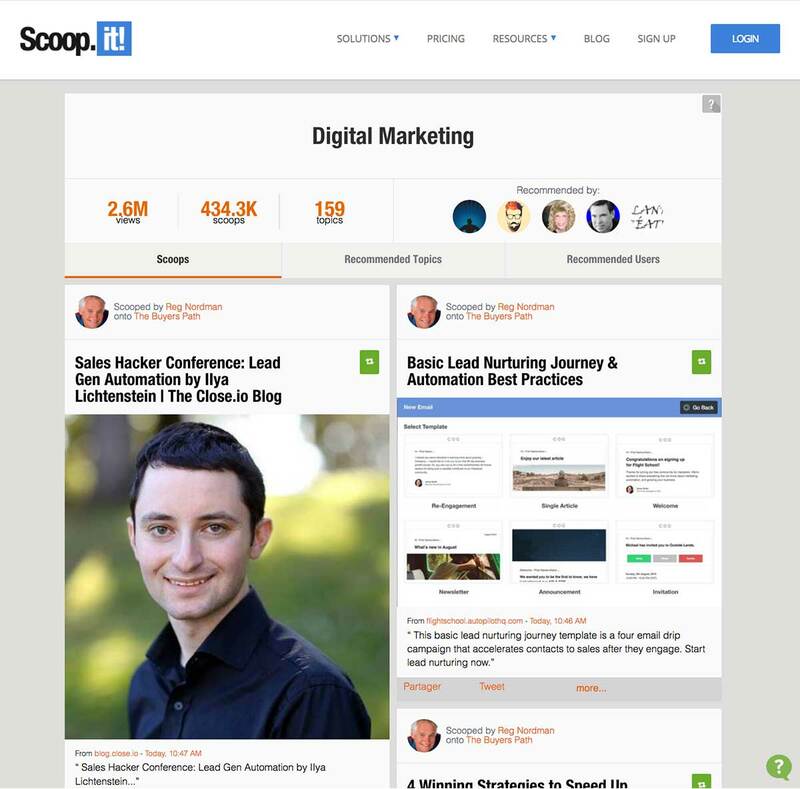 You are basically developing a personalized, soup-to-nuts content journey for a handful of extremely high-value prospects. The content you show them must be highly-relevant to them. The idea of groups and segments becomes more important too. Content marketing traditionally thinks of the buyer as a single person. In account-based marketing, there are individuals, but you are primarily selling to a team of people. At the typical company, around five to seven people contribute to the buying decision. It’s more like “purchase by committee”. Each one of those individuals will want slightly different information. You can’t give a CMO the kind of content that a lower level manager would want. So the job of account-based marketing content is to create a custom content experience. It’s for the company you’re targeting, but also for the individuals on that company’s buying team. In a sense, account-based Marketing is almost content marketing in reverse. In traditional content marketing (also in “inbound marketing”, its sister), you cast a wide net with your content. You create entertaining, useful content that appeals to a fairly large audience. Of course, the audience members you target are more likely than the average person to become customers. But even so, most of your audience members will never actually become customers. You use your content to build trust and familiarity with this loosely-targeted audience. You nurture this audience until one day, when a given member of your audience needs your product, they think of your company first. Because of your investment in all that content, when that audience member is finally ready to become a customer, they are “pre-sold” on your company’s products or services. Account-based marketing flips this model on its head. Instead of starting with a large audience, ABM starts with a very small group. It focuses on your most-likely-to-convert, highest-value prospects. And instead of letting this group self-select whenever they’re ready, you actively and personally (via the sales team) move them along the sales cycle. The content your top-tier prospects will get may be exclusively created for them. At the very least, it will be customized for them. It will include their name, their title, their company – but that’s just the beginning. It will also use examples for their company. It could include a cost analysis and other bottom-of-the funnel content formats tailored for their needs. So instead of casting a wide net with your content, you’re basically crafting one-to-one content that is more sales enablement than content marketing. While the ABM strategy makes sense (and works really well), we obviously can’t create custom content for every member of our audience. There aren’t enough hours in the day, even with the help of marketing automation and content intelligence. But not all prospects are of equal value. And so maybe they shouldn’t be treated equally. So we give outsized content resources to the prospects with the potential to deliver outsized results. ABM uses this concept to focus on Tier one and Tier two prospects. Then it uses content marketing and marketing automation to handle the rest of your prospect database. Tier one companies are the highest priority prospects. You want to deliver as personalized an experience as possible for them. Then there are second-tier prospects. These companies won’t get super-personalized content. They’ll get highly segmented content that’s relevant to them, but not at such a laser-focused level as the tier one accounts. Say you are selling accounting software. Your tier one prospects will get content that mentions their company by name. You’ll probably also be sending direct mail and personalized notes to specific people on the team. You may create a micro-site for the company, then individual micro-sites of content for each team member. You may create a series of videos made for an audience of one: The target company’s CFO. Tier two clients will get less white-glove treatment, but will still have content tailored to their industry. Depending on how your sales team and your company works, your tier two prospects might also get content segmented by location, language or how they use your products. Often tier two prospects will also get segmented content based on their title. For example, account-based marketing content for an imaginary Company X might have several pieces of content for CMOs who speak English in the manufacturing vertical. It would have different content assets for Customer Service Managers who speak English in the manufacturing sector. 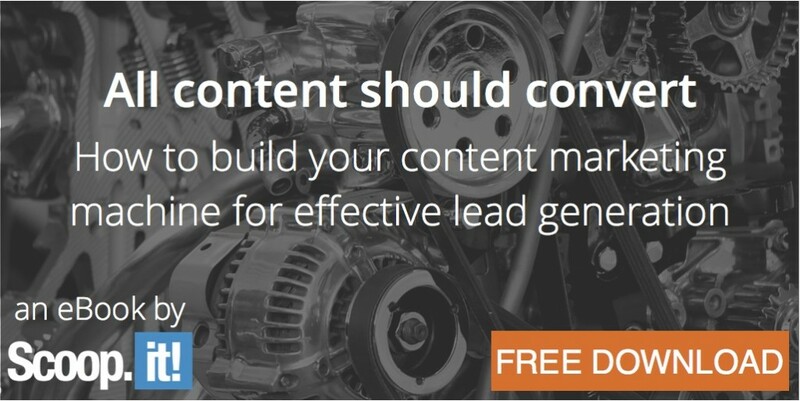 The content won’t be customized for the individual CMO or the Customer Service Managers, but it will be relevant for any CMO or Customer Service Manager in the manufacturing sector who views it. So instead of this content having an audience of one, as for the tier one content, tier two content may have an audience of dozens or even a couple hundred prospects. Most ABM programs also have “tier three” prospects. This group may get some segmented content – perhaps by their industry or their region, but it will be more general than what the tier two group sees. Often, marketers use marketing automation to help develop these tier three prospects (often called “suspects” because they haven’t really proven their intent to buy). Marketing automation, fueled by the smart use of content, can move them through the buyer’s journey until they display behaviors that warrant more hands-on management from the sales team, and more tailored content from marketing. Tier 3: All remaining leads – Content is segmented by one parameter. This could be by country, language or vertical, depending on the company – Marketing uses a CRM or other customer database to build knowledge about each individual. They may also score leads for sales to review. Sales may elect to upgrade some of these Tier 3 prospects if they see promising buying signals. Clearly, this all takes an enormous amount of work. As a content marketer, you’ve got several challenges and development phases to get through if you want to pull this off. You’ll also need robust research tools so you can see what your prospects are interested in. You need to know exactly what information they need to make a purchase decision. To start, define a list of Tier one companies small enough to manage. Here’s why: creating ABM content for “just” five companies is a considerable amount of work. You’re basically developing a personalized content experience and sales funnel for five to seven people on each buying team. Assuming there are five key people at each company, that means “just” creating 25 individual, personalized content journeys. And that’s just your Tier One people. You also need to build content journeys for the Tier two prospects. So be careful about how much you commit to. You know how to do this part. 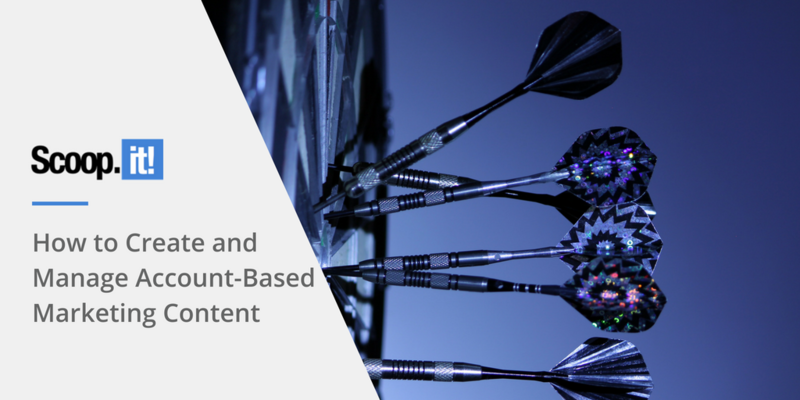 Use content intelligence software like Hawkeye to identify which existing pieces of content are performing best in you industry. Use it to see who’s publishing this content, how often they’re publishing similar content. Take what you learn from your content intelligence tool and craft a creative brief that nails what you want, and who you want it to be for. Then begin working with your agency (and perhaps with input from your sales staff) to get the deliverables you need in on time. Ideally, you’ll have done your homework early, so you’ll know how much help you need and how much extra budget it requires. That way you can ask for extra budget while the C-Suite is still excited about the new ABM program. You’ll also need an editorial calendar that syncs with all your requirements for content creation and updating. Otherwise you’ll spend a lot of time answering sales rep emails about the status of different pieces of content. You need or organize all this account-based marketing content so you, your sales team, and your prospects can find everything. Clearly, with all this content and all these variations on the content floating around, you’d better have a great digital asset management tool. You need to make sure you are showing the right content to the right person at the right time. Get ready to spend a lot of time with your IT department and with Sales. Your content organization system has to work well enough so Sales can find anything they need at a moment’s notice. How are you going to get all this content to each prospect at the right time while coordinating with sales? So your content inventory solution needs to be smart enough to handle all the distribution information, too. Account-based marketing is extremely effective, but the returns come at a price. There’s more content to create, more content to manage, and a much more sophisticated delivery system to operate. With the help of ABM and content management software, you can definitely manage it all. But this is not a strategy you want to undertake with basic management tools like spreadsheets and whiteboards.